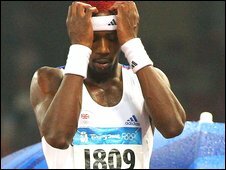 Phillips Idowu has revealed he could have retired had he won gold, rather than silver, in Beijing. After an unbeaten season the 30-year-old Londoner was favourite to become Olympic triple jump champion but missed out by 5cm to Portugal's Nelson Evora. 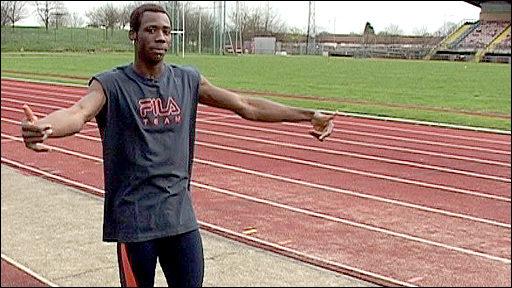 Idowu said: "If I had won gold I don't know if I would have carried on. "Maybe my silver medal is my silver lining. It will help motivate me to work really hard to pick up every medal available over the next four years." The Belgrave Harrier jumper was distraught after losing in Beijing and being unable to make up for his three no-jumps at Athens in 2004. Soon after the Olympics, Idowu headed for Barbados, "hit the party scene and had some fun" but could not wait to get back to work. He is currently involved in warm-weather training in Potchefstroom in South Africa and with a medical status reading "healthy" the world and European indoor champion is hungrier than ever for more medals. "Beijing was a great experience," Idowu told BBC Sport. "It was my first outdoor medal so I can't be disappointed. I learned a lot. "I was upset at the time but I had a positive response from the public. I'm going to use that going into all my competitions and not just 2012. "It has inspired me to keep going. Some athletes have found it hard to motivate themselves but I haven't found that a struggle at all. It is just a stepping stone to greater things." Is British athletics going in the right direction? Who do you see as our real medal hopes in Berlin and beyond? 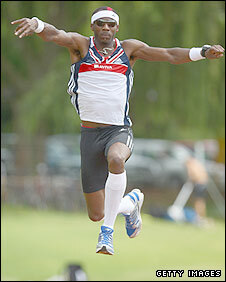 After coming sixth at the Sydney Games in 2000, Idowu has made steady progress on the triple-jump runway. In the last two years he has begun to realise his potential and finally step out of the shadow of Britain's world record holder Jonathan Edwards. But he said of his Beijing experience: "I don't know if London 2012 would have been as big a priority as it is now if I had won. "As a youngster my aim was always to win an Olympic gold. If I had it already then what would I have been carrying on for? I may not have had the same motivation." With coach Aston Moore, Idowu is keeping a constant eye on his progression in training, with his next big priority the World Championships in Berlin in August. "We are making adjustments now - small steps - tweaking, tweaking, tweaking. By the time 2012 comes we will have made the gradual improvements needed so I will be in the best shape possible," Idowu said. "I'm just pleased I'm in good shape, I'm training well and making the changes I need to make myself a better athlete and better jumper. "I'm going into the summer like I did in 2008 - undefeated - and I want to keep that streak going until the end of the season. "It's easy to talk about 2012 because it is so far away. I'd go nuts if I was thinking about it every day. I've just got to handle what I'm doing now. There are bigger prizes on offer in the immediate future." Idowu said of his Beijing silver: "I don't even know where it is. I think it's in the sock drawer. I don't like to look at it or have any medals on display. "I don't want that feeling of self-gratification or that I had achieved something. I do not want to get complacent or satisfied because I feel like I've got a long way to go." Idowu is famous for dying his hair different colours and he said: "The hair is black with a red streak through. And inside the head is a beautiful place to be right now."